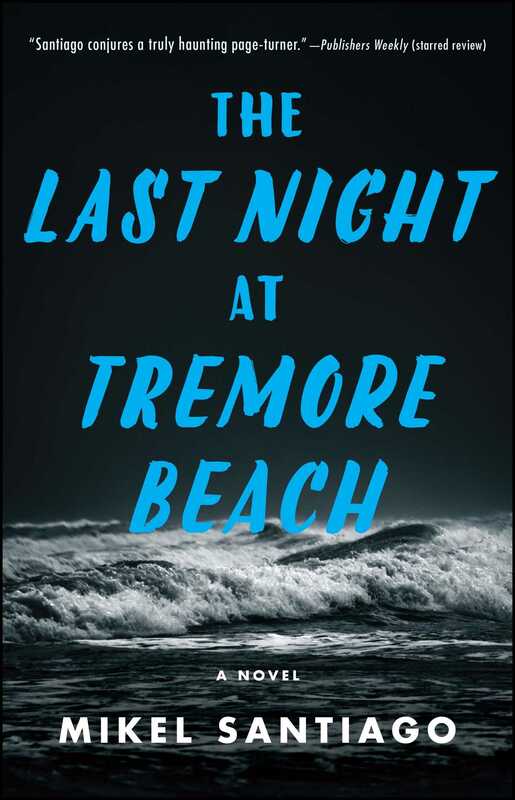 Gripping and impossible to put down, The Last Night at Tremore Beach is an atmospheric and chilling psychological thriller sure to appeal to fans of the novels of Stephen King and S.J. Watson. An idyllic summer holiday on the Irish coast becomes a living nightmare with shattering consequences for a world-renowned composer and his loved ones in this “truly haunting page-turner” (Publishers Weekly, starred review). That morning, they’d predicted fifty-five mile per hour winds and advised against trying to drive on the roads beyond the late afternoon. They’d said we should be ready for a powerful downpour and flash flooding inland. For everyone who lived on the coast it was going to be a night of hell on earth, they said. I had gone to Clenhburran early that morning to run errands and to shop for some last-minute groceries. Clenhburran was a little town, the only one for miles around, which makes it significant when the only thing that ties you to the outside world is a narrow and tortuous stretch of road between rocky cliffs. My first order of business that morning had been to take my lawn mower to be fixed at John Durran’s shop. Naturally, there were special offers on gasoline generators, candles, propane grills, and other survival gear. The few tourists or weekend residents who happened to be in town filled their shopping carts, and Durran rubbed his hands together in anticipation. Too bad—for him—we were still a month away from the official start of high season. I told him I was hunkered down for the storm, though I hadn’t as much as boarded up a single window. Neither had Leo Kogan, my only neighbor on the beach, who had counseled me against it: “I’m sure it’ll amount to nothing.” He’s a veteran of the beach, and I’d always trusted his expertise until that morning. I confess, after witnessing the pre-apocalyptic tension at Durran’s and driving past homes completely shrouded in plywood, I started to get a little nervous. I pushed the mower into the shop and told Brendan, the mechanic, that the day before I had again—for the second time this month—smashed into the same damn hidden septic tank drain, which was only partly covered by my lawn. “Brand-new Outils Wolf and it’s already got four dozen battle scars, Mr. Harper. If you want, we can rig some kind of metal plate over that septic tank drain,” he said. I told him the rental agency was supposed to do something about it—if, in fact, they ever got to it this millennium—and asked him when the mower would be ready. I told him I’d be back for it then, and set off for a stroll down to the harbor. At the end of Main Street, I watched as the fishermen battened down their ships, and even Chester, the little old man who ran the newsstand, warned “something big” was headed our way tonight. But then I thought of my neighbor, Leo, who had insisted there was nothing to worry about. Just some sand spraying up against the windows, maybe a loose roof tile or two. Nothing major. He’d been living on the beach for more than three years now. He hadn’t even bothered to change his dinner plans for tonight. We’d made arrangements to have dinner together at his house more than two weeks ago and yesterday he’d called to confirm. “You think it’s a good idea to be out tonight with the Apocalypse on its way?” I had asked him. AROUND SIX in the evening, when I awoke from a nap, the storm front had already rolled in like a carpet across the late afternoon sky. I lay on the couch watching it through the living room’s large picture windows: A titanic mass of storm clouds bloomed on the horizon, as deep as an abyss and as wide as the eye could see, advancing like an implacable army. Its darkened innards crackled with lightning, threatening an epic battle with the earth below. I stood up and the so-called best-selling mystery novel—whose first fifty pages had managed to lull me to sleep—tumbled off my lap and onto the Aztec-patterned rug. I picked my guitar up off the floor, laid it against the throw pillows, and pulled open the sliding glass door to go outside. I was met by a furious gale that whipped across my lawn and shook the bushes like baby rattles. The white picket fence around my yard was bearing the brunt of it, as well. Down on the beach, sand swirled in giant clouds and pelted my face like needles. Watching that monstrous storm fast approaching the coast, I felt like an insect about to be squashed by a giant. I thought back on John Durran’s plywood and instantly regretted not bringing home a few sheets. This goddamn storm was going to swallow the entire beach whole. Jesus, Pete, what were you thinking? I ran back inside and slid the balcony door closed. The latch had never really worked, but I slammed the door hard until it was sealed tight. Relax, Harper, it’s not the end of the world. I went upstairs and made sure every north-facing window was shut tight. It was a two-bedroom house: a master bedroom, a guest room with twin beds (which, in a few weeks, would welcome their first visitors: my children), and one bathroom. Beneath the tile roof was a tiny attic filled with dusty boxes and a few old pieces of luggage. I went up there for the first time in weeks just to make sure the skylight was locked. While I was up there, I grabbed a few candles, which I would spread throughout the house in case the lights went out in the middle of the night. I unplugged everything and came back downstairs. The kitchen had just one window facing the sea, a double-paned glass that looked strong. I went out the kitchen door to the backyard, rounded up a few loose wooden chairs, and stacked them in the shed. Inside were several tools and planks of wood that some previous resident had bought. There was also a small ax, which might have been used to split firewood. I briefly thought about trying to board up parts of the house but just as quickly dismissed the idea. I’d probably only manage to hack off a finger or worse. And with no one to come to my aid out on this desolate beach, I’d bleed out and die alone. Back inside the house, furious gusts of wind rattled the living room windows. Would they shatter? It was best not to risk it. I dug out a plastic cover to wrap my Steinway piano and figured it would at least keep the glass and rain off of it if the windows gave way. Once I’d wrapped the piano (a baby grand that was almost seven feet long and weighed nearly eight hundred pounds), I unlocked the caster wheels and rolled it as far as possible from the window. It left an empty space in the room, surrounded by notebooks, stacks of sheet music, pencils worn to the nub, and countless wads of balled-up paper. I shut my MacBook Pro and stashed it as high as possible on a bookshelf away from the window. I did the same with the electric keyboard I used for my recordings. That done, the living room was ready to receive the mother of all house guests, this impending storm. Raindrops started to pelt the window, and you could hear distant thunder, though I couldn’t see any more lightning just yet. I ran to answer it. His laughter calmed me down just a bit. I promised I’d be there in ten minutes. I hung up and chuckled at myself. So you wanted to live on the beach, huh, city slicker? I went back upstairs and took a hot shower to try to wake myself up a little more. I’d barely slept the night before after getting a late-night call from my agent, Pat Dunbar, that had tied my stomach in knots. Pat was fifty-six years old, morbidly overweight, a walking invitation to a heart attack, who had divorced and remarried a svelte twenty-one-year-old Russian girl. He lived in London though he tended to spend months at a time in a splendid villa in the Mediterranean. He smoked less than he had before, though he still drank just as hard. We had almost a father-son relationship, except I was (or, at least, he’d hoped I’d be) a son who brought a 20-percent commission. “Yeah, I know who Sir Francis Drake is,” I said, and felt myself tense up. I knew where Pat was going with this. I suppose it was inevitable. Pat was my agent, not my mother. “What, you think I’m calling to ask about your health?” he added. There was a brief moment of silence on the phone. I’d known Pat for years and I’d bet anything that at that very moment he was mouthing my words and making a face. It was quintessential Pat Dunbar, master of the twenty-five cent psychological analysis, trying to pull off a motivational technique above his pay grade. “What do you mean by that?” I asked, a little tense. And there it was. This argument had been a long time coming. I’d finally worn out the patience of the ever-insistent Pat Dunbar. The line fell silent for a few short beats. We both caught our breaths. Here we were again, discussing the disaster that—among other things—had caused my exile. The movie I hadn’t been able to finish. FOX studios. Their lawyers. Just another tumble for Mr. Harper and his finances after the divorce from Clem. And now I could picture Pat leaning back on his couch staring at the ceiling, thinking, Well, I tried everything. We hung up. His “get better” rang in my head. IT WAS TRUE. Who was I kidding? I didn’t dare meet with Alexander Wells because I wasn’t sure of myself anymore. Pat knew it. FOX knew it. The BBC knew it. The whole damn world knew it. I’d compose a piece of music, listen to it, and toss the crumpled notes into the garbage. Deep down, I should be thankful to Pat for continuing to risk his reputation on me. 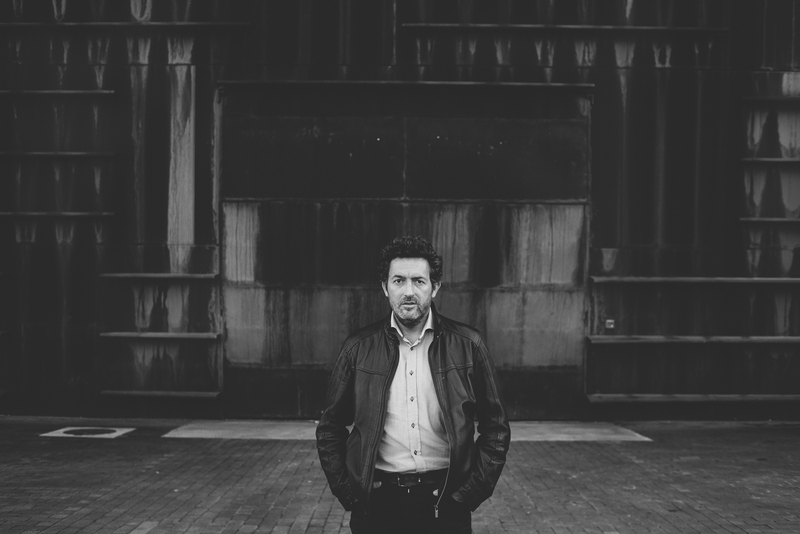 Over the last three months, my creative life had been a frustrating bout of agonized trial and error. A manic-depressive spiral in which one night I might think I had something brilliant, the melody that would mark the end to my creative drought, and listening to it the next morning would make me want to vomit. (Mostly figuratively, though a couple of times it did inspire dry heaves.) I’d desperately leap up from the piano and have to leave the house to keep from exploding with rage—rage that led to drinking. So I’d stalk the beach, looking for crabs as a way to distract my mind, each time childishly wishing that a massive tidal wave would crash down on me and end my suffering. Or I’d walk along the cliffs toward the ruins of the Monaghan monastery, where I’d pray that God would send me some kind of sign. Mostly I ended up in the backyard, mowing the lawn, which had become the richest form of entertainment in my monastic life. AFTER SHOWERING and shaving, I put on a clean shirt and blazer. It felt good to get out of what had become my uniform, jeans and a T-shirt, at least for a little while. I grabbed the bottle of Chilean wine I’d bought that morning at Andy’s, turned off the lights, and headed for the door. The keys hung from a hook. I grabbed them and shoved them into my pants pocket. When I took hold of the doorknob, I could feel the evening cold transmitted through the metal. It trembled lightly in my hand amid the pounding wind outside. Then it happened. A moment I’d think back on so many times. Don’t leave the house. Not tonight, I heard a voice say. It was a sort of disembodied voice. Like a phantom hiding behind my ears. A whisper that might easily have been the wind. Don’t open the door. Not tonight . . . I froze with my hand on the doorknob, my feet glued to the tile floor. I looked back into the darkened living room. In the distance, lightning flashed over the ocean and for just a moment, the entire room was flooded in cold, blue light. Of course, there was no one else there. It was no specter’s voice but my own. It had risen from somewhere deep inside of me. Until that moment, I’d only ever heard that voice once before. So sharp, so clear in its message . . .
No, it can’t be. I was only frightened last time, I told myself. Just like tonight. Don’t be stupid, Peter Harper. There’s no such thing as . . .
“Don’t be a wimp,” I said out loud this time, in the quiet of the living room. I turned out the light, stepped outside, and shut the door with a slam, as if that could frighten off the spirits. “Santiago’s debut ticks all the boxes for a first-rate thriller. Plausible characters, wonderful atmosphere, and a solidly written story with just enough scariness will keep readers engaged to the very last page."